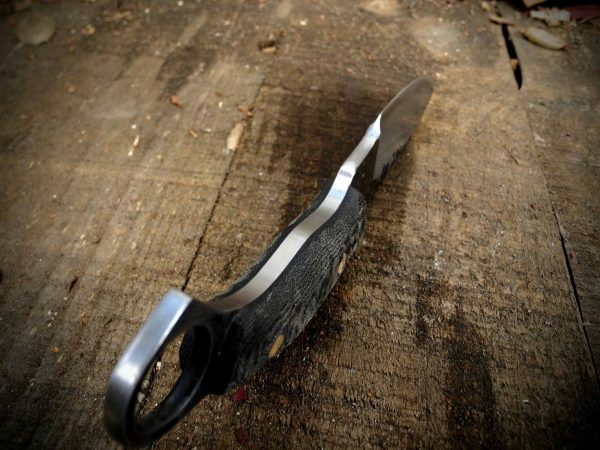 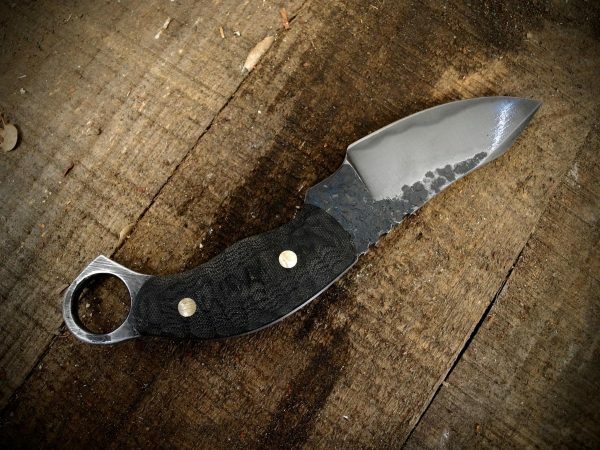 The Raptor Combatives Knife is an impeccable work of functional art. Hand forged and designed for the primary intention of EDC & Self Defense, but it’s versatility warrants efficiency in virtually any task. 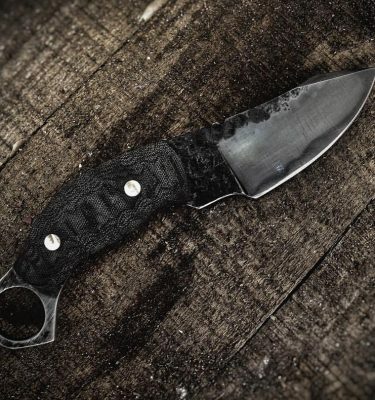 From urban streets to the backwoods in the wilderness, the Raptor is a do-all blade. 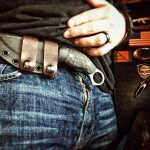 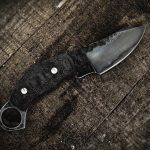 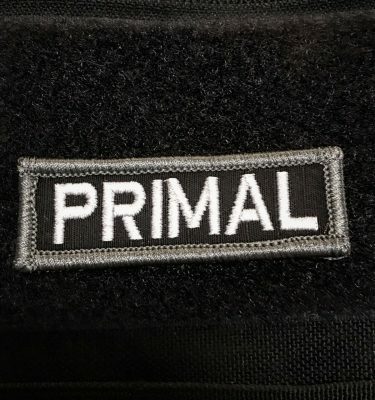 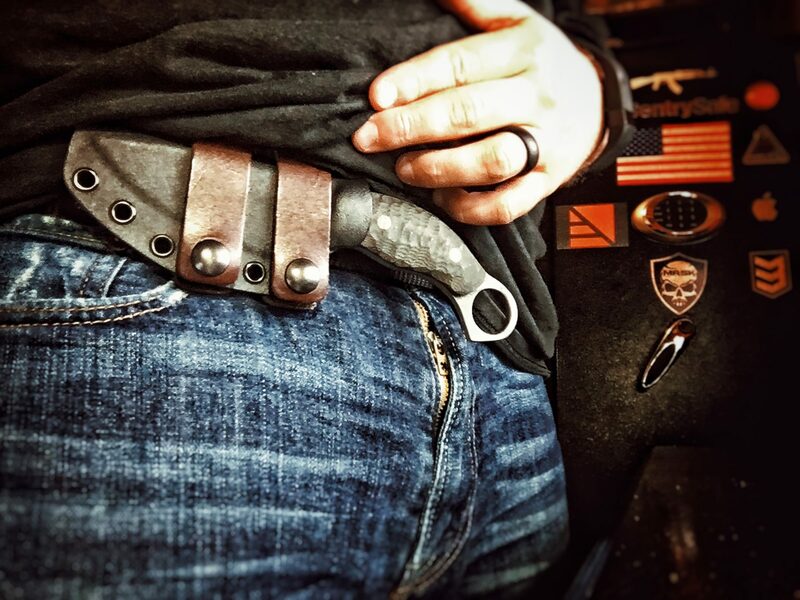 The thin profile of the swedge combined with the flat edge design of the combatives ring provides easier grip retention and devastation when flailed. The differential heat treatment enhances the hardness of the cutting edge, resulting in a very aesthetically pleasing etched hamon line. 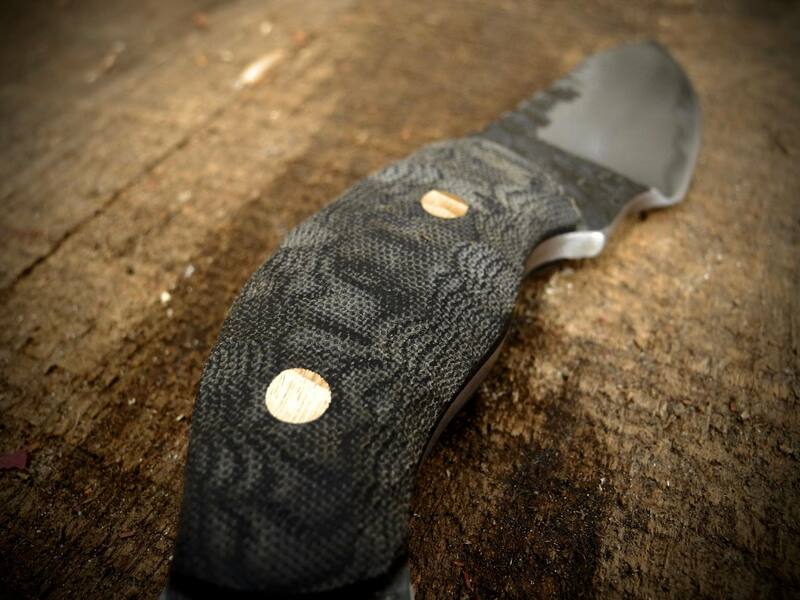 It features a 90 degree spine with jimping, and rock textured scales for added overall control. The unique design of the handle provides adequate clearance and comfort for hands of all sizes, and the ability to manipulate the knife via various grip positions. 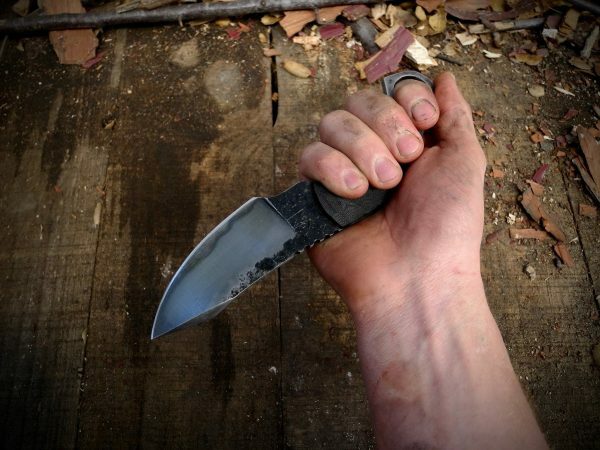 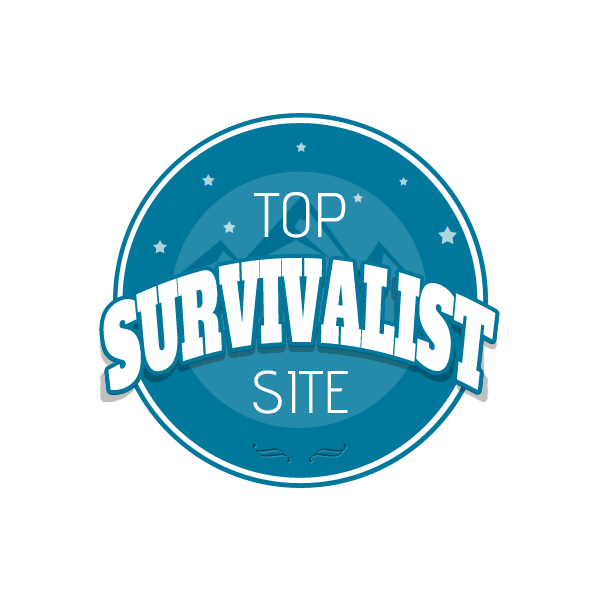 The best survival knife is the knife you have on you. That’s why this knife was designed for comfort and concealability. 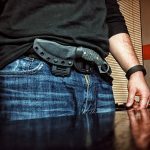 Making it a great EDC blade, one that you would feel proud and willing to carry on your person at all times. 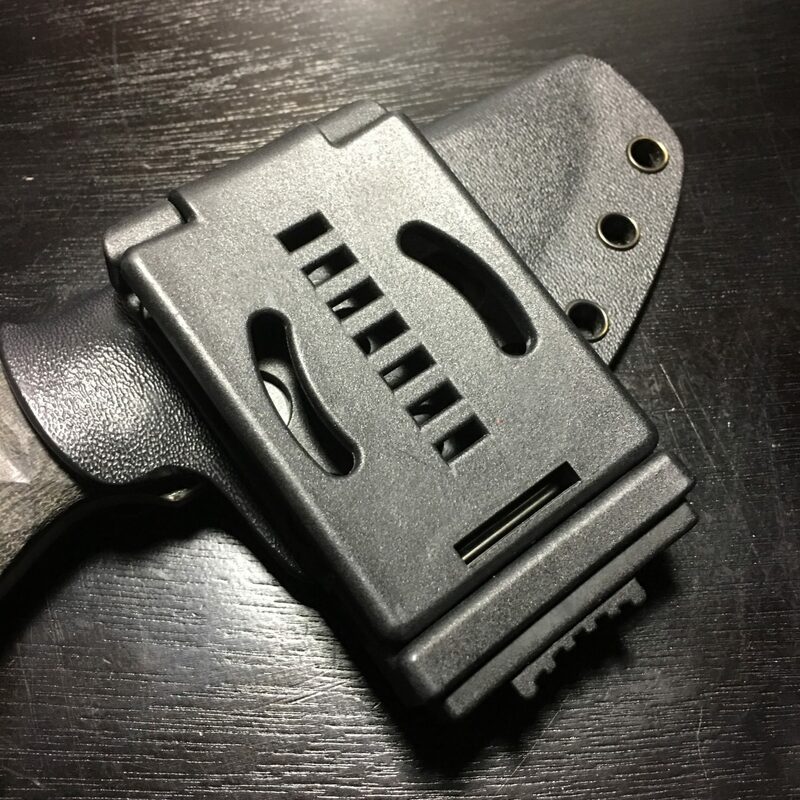 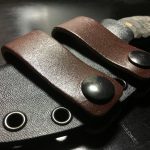 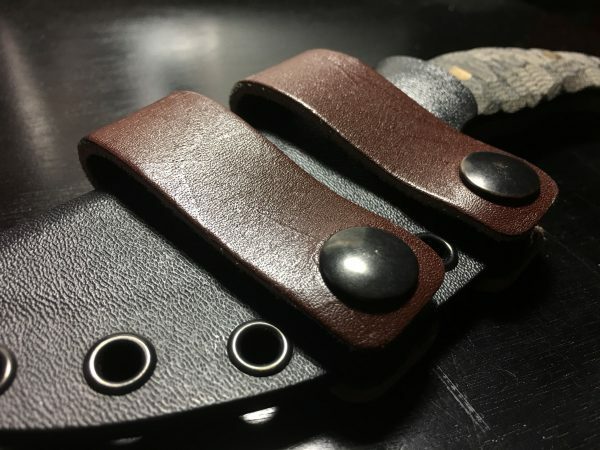 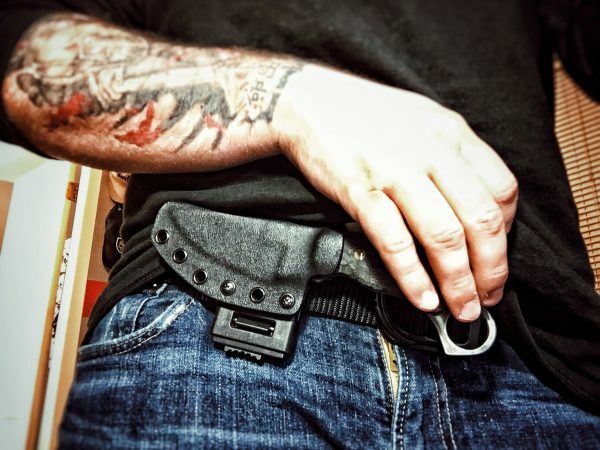 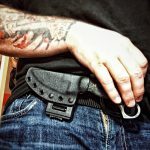 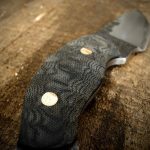 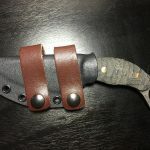 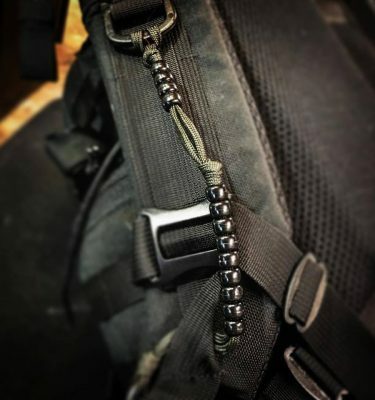 The sheath design by Vendetta Tactical allows for various styles of carry but its intended style is scout carry in the front of your body with handle facing inward for quick reversed grip deployment, and concealability. 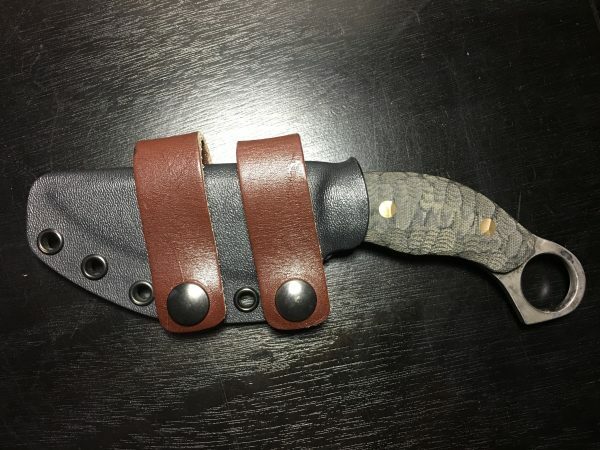 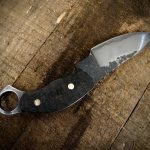 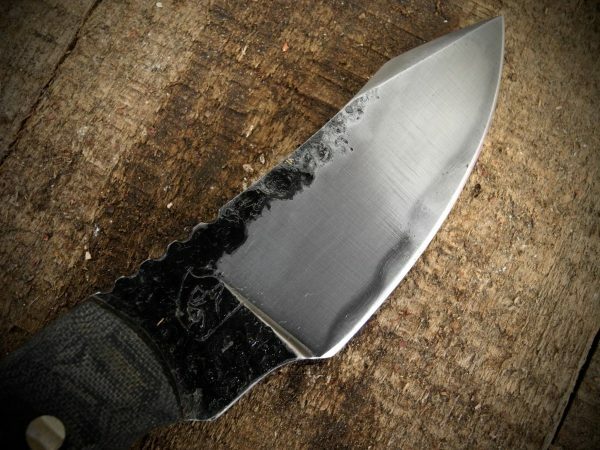 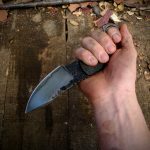 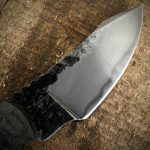 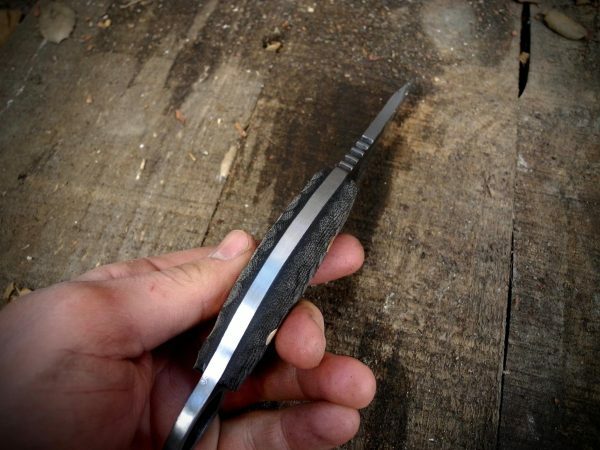 The Raptor is a hand forged made to order blade. 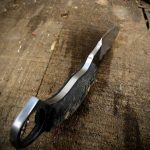 Because of this each blade is slightly unique, and the production time can vary. 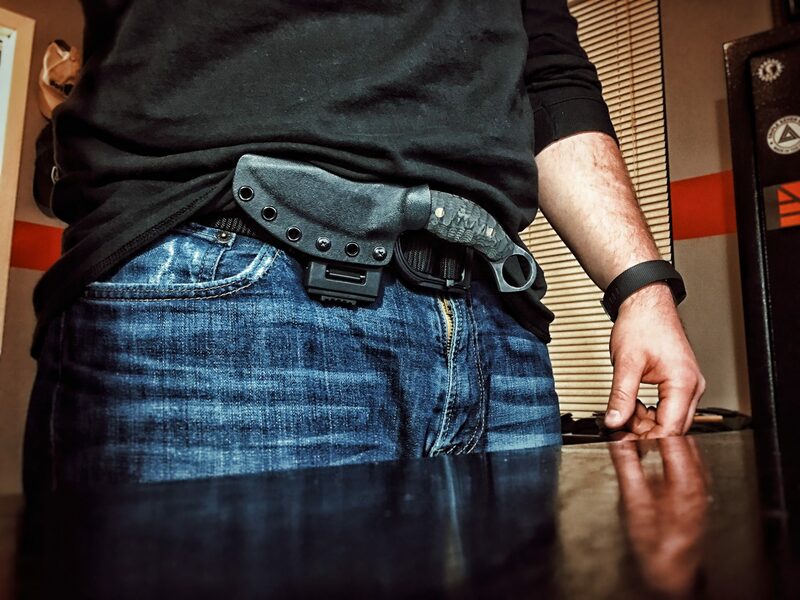 Typically between 1-2 months. 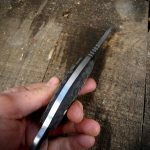 Our blacksmith spares no quality for speed, and neither does our sheath craftsman. 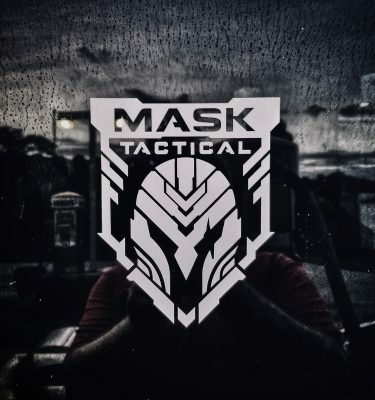 This is how we ensure the highest caliber product. 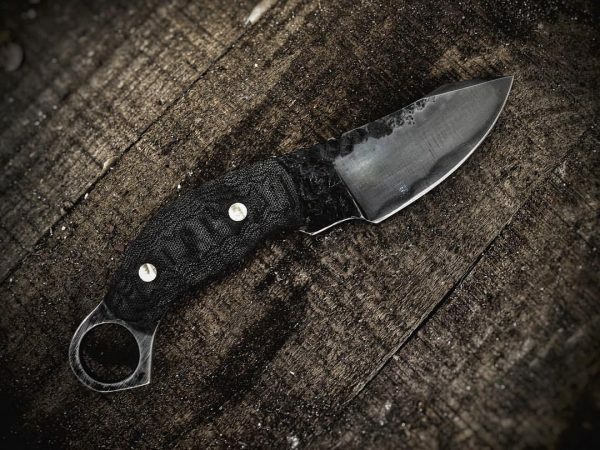 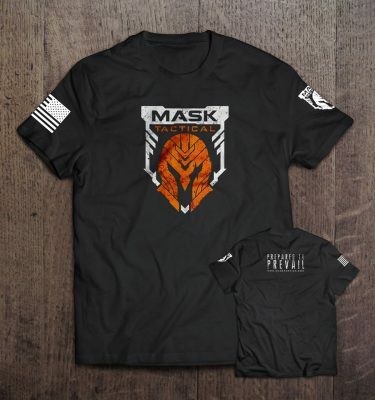 Every blade features the MASK and Jinja Ninja Outdoors brand stamp, and also comes with a certificate of authenticity.